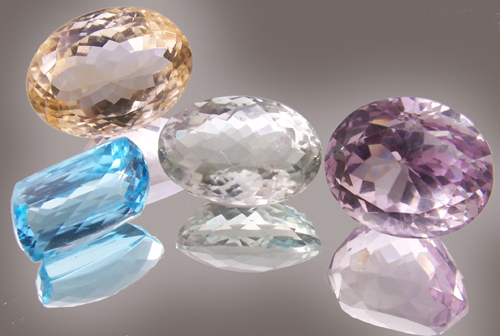 For museum sizes from 100-300 carat in Sky, Swiss or London Blue topaz, add US$0.75 to the price mentioned individually. Natural Indian Black Diamonds up to 2.00 carat(Good Quality) - US$95 per carat. Natural Indian Black Diamonds up to 2.00 carat(Best Quality) - US$120 per carat. Natural Indian Black Diamonds from 2.00 - 4.00 carat(Good Quality) - US$125 per carat. Natural Indian Black Diamonds up to 2.00 - 4.00 carat(Best Quality) - US$170 per carat. Natural Indian Black Diamonds from 4.00 - 7.00 carat(Good Quality) - US$190 per carat. Natural Indian Black Diamonds up to 4.00 - 7.00 carat(Best Quality) - US$270 per carat. Natural South Africa Blue/Green Diamonds up to 2.00 carat(I1/I2 quality) - US$475 per carat. Natural South Africa Blue/Green Diamonds up to 2.00 carat(SI1/SI2 quality) - US$850 per carat. Natural South Africa Blue/Green Diamonds up to 2.00 carat(VS1/VS2 quality) - US$1550 per carat. all qualities can be arranged starting from US$30 - US$450 per carat.